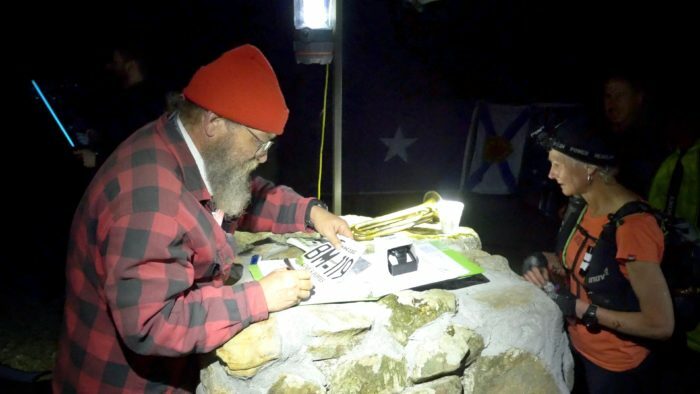 The Barkley Marathons is a notoriously secretive event, but many of us will have been glued to Twitter at the weekend following the snippets of action on #BM100. This year British interest was high, with James Elson, Carol Morgan, Paul Giblin and Nicky Spinks taking part. Alas, for the second year running nobody finished the Barkley. It goes without saying that the course was as evil as the race organiser, Gary ‘Lazarus Lake’ Cantrell, could make it. It’s famed for crazy steep ascents (10,000 feet per lap), overgrown and brutally brambley routes, difficult navigation and of course an unknown start time. But this year the weather, which is always unpredictable for the race which takes place in Frozen Head State Park in Tennessee, was also about as bad as it gets. There was a lot of hope on Nicky Spinks’s shoulders. 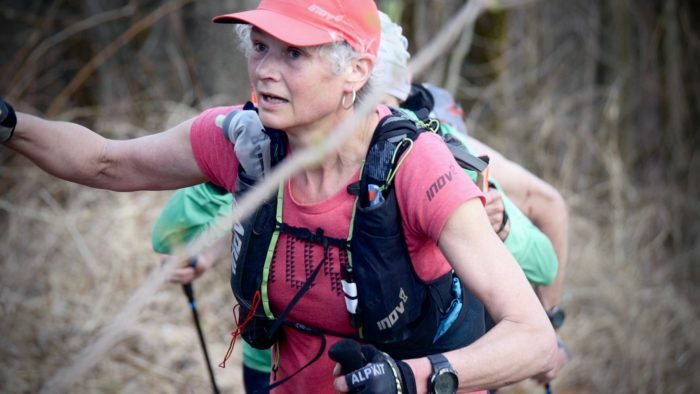 No woman has ever finished this race (and only 15 men have since it started in 1995) but with Nicky’s past achievements including many super long and super gnarly races and challenges, many hoped that Nicky could be the first. It was a huge ask and it wasn’t to be, but Nicky has spoken about her experience at the race. 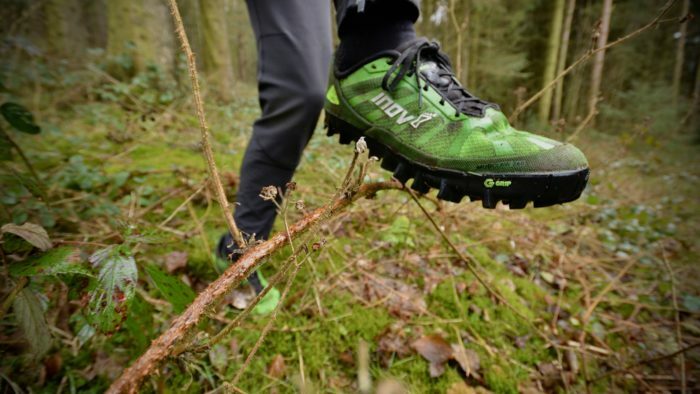 The 51-year-old inov-8 ambassador and fellow participant Stephanie Case were the last women standing. 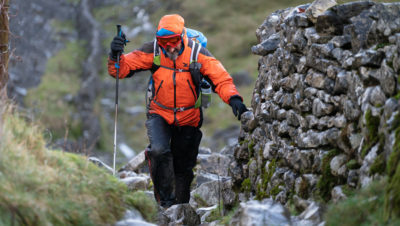 They completed the first 20-mile lap together, before dropping out partway through lap two amid plummeting temperatures and appalling weather conditions. 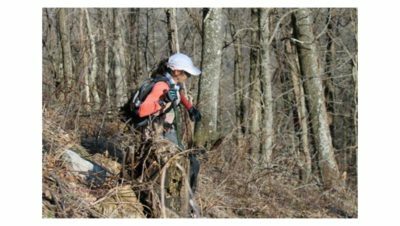 “I ran with Stephanie, who is a Barkley veteran, and she was brilliant in helping me learn about the unique elements of the race. Lap one took us about 11-and-a-half hours, which was longer than I had hoped, but the temperatures, the difficult terrain and the time spent trying to find the well-hidden books all played a part. 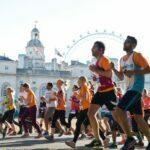 “Together with male runners called Micheal Panhuysen and Billy Reed, we all had a quick turnaround with our support crews, and then set out as a foursome on lap number two in the dark. 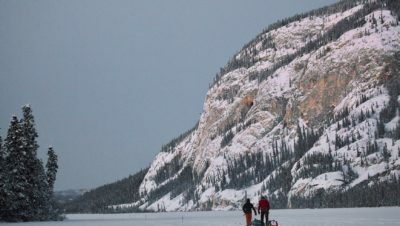 The weather forecast didn’t really detail just how cold it was going to be in the mountains and none of us had extreme winter kit in our race packs. It turned out to be incredibly cold and wet which, together with the darkness and fog, made for slow going. This year saw five male runners complete three laps (the ‘fun run’), but none achieved four, let alone five.